Buenos Aires is disappearing into the dim and distant past. All the new people I met are just memories, so a chance to tango again is my only salvation. Upton Magna is a small village just south of Shrewsbury, very difficult to reach, but now becoming a regular on the circuit. Before I start the report I must apologise to those waiting to see Viv’s new hair. As usual with anything new, it takes her some time to get used to it, and tonight there was no way she would wear her new wig. So in the photos is the same old Viv, for now the short bob style stays. Weekends when I can travel this far are rare, so it is lucky that the weekend milonga coincides with my only weekend off. Tonight Ricardo and Sue are here as guest teachers, unfortunately I could not get there in time for the workshop they did, but managed to catch the back end. 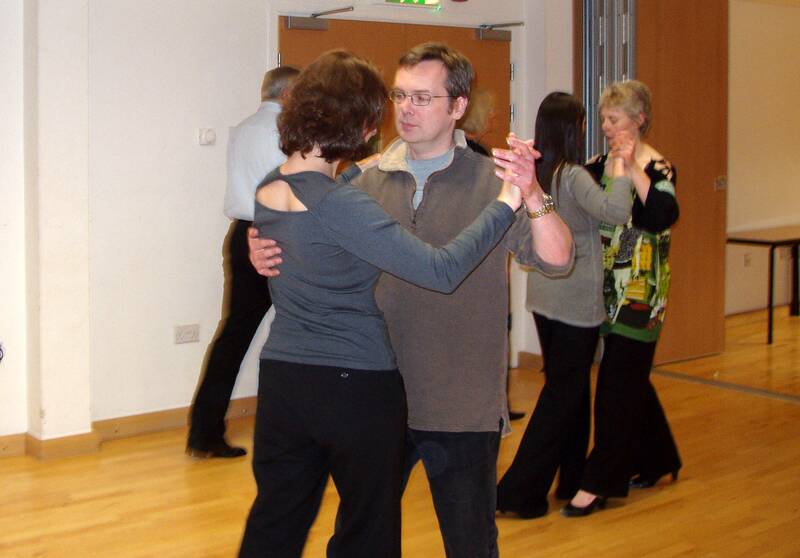 From the little I saw they did a good milonga class, shame I missed it as everyone seemed to enjoy it and I think I would have enjoyed it too, I do love a good milonga. When the dancing started there was a good mix of men and women, but for the first hour or so we ran short of women. The reason was that Viv had her Comme Il Fauts on show. Only one pair was actually for sale, and they were already sold to Evelyn. The idea was that as she takes the same size as Viv, she would have a choice of the four pairs Viv had brought. The trouble was that when they came out, it suddenly became a feeding frenzy, all the women wanted to try them on, whether they fitted or not. Dave was keeping strict control of the music, nothing but the golden years here, all good stuff, good sound system we even had disco lights. My only criticism was that by now we should be having proper tandas. The lack of tandas did give me one problem; never knowing when I had danced enough with any woman. 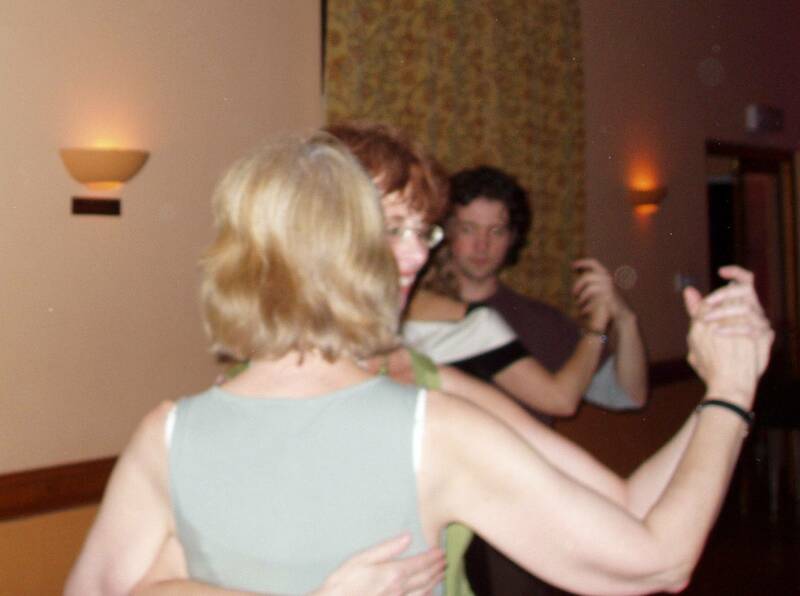 I tried to restrict myself to three dances, but most of the time I was not counting and probably did four or five. Always aware that Viv has come with a partner, it is totally unfair that she should have to keep sitting out. 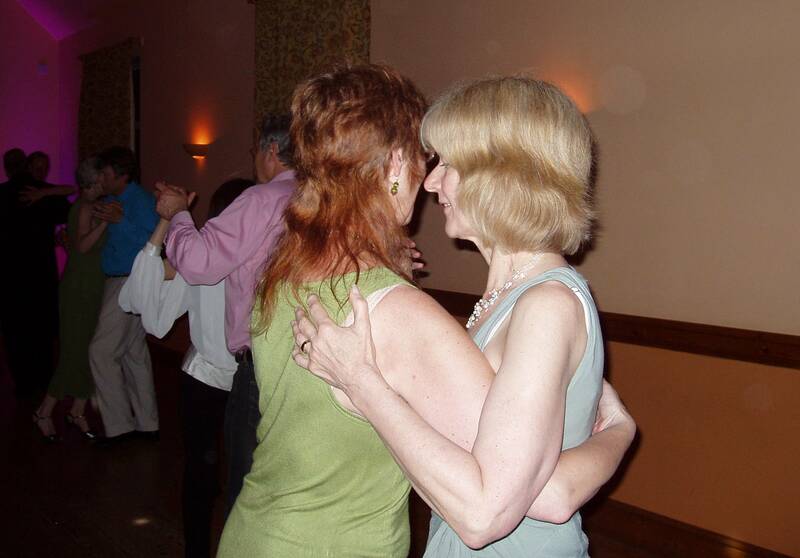 This meant returning to her often especially when just one modern tune was played; I simply had to dance Otras Aires, Milonga sentimental with my wife. 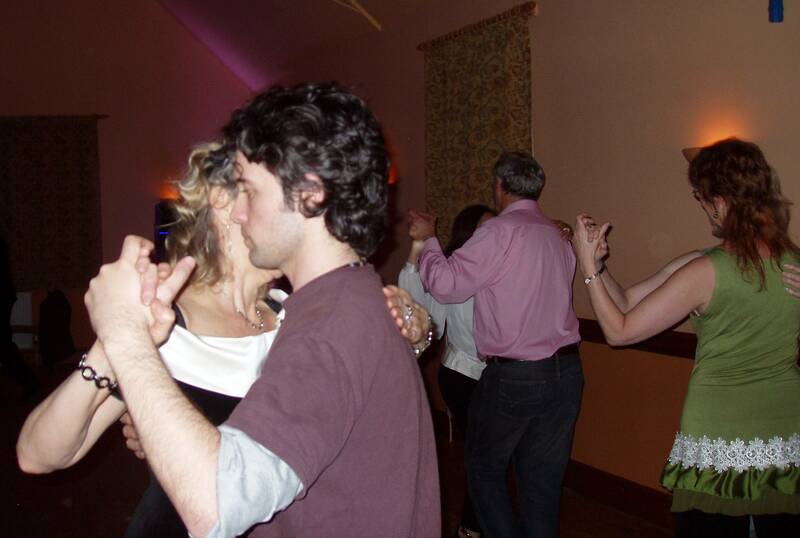 Nobody, just nobody does milonga like this, and while I will always go for the stuff from the golden years, sometimes it can be improved upon. Take the best composers and traditional music, but play it with a modern twist, and I believe sometimes something great can come out of it. That was Dave’s only concession to modern music, I have to say I agree with his choice. Where did the night go? As I danced round the room I looked at the women and noted at least three with whom I had not danced. Ready to ask Sue and the last dance was announced. Few things are set in stone, but La Cumparsita should always be danced with the woman with whom you arrived (yes I know, but we do some things differently in the UK). So as I danced with Viv I noted that Sharon, Sue and Katrina had not danced with me, and made a note to give them priority next time. I will see at least two of them on Monday and hope they will have forgiven my oversight by then. What was I saying about miracles? 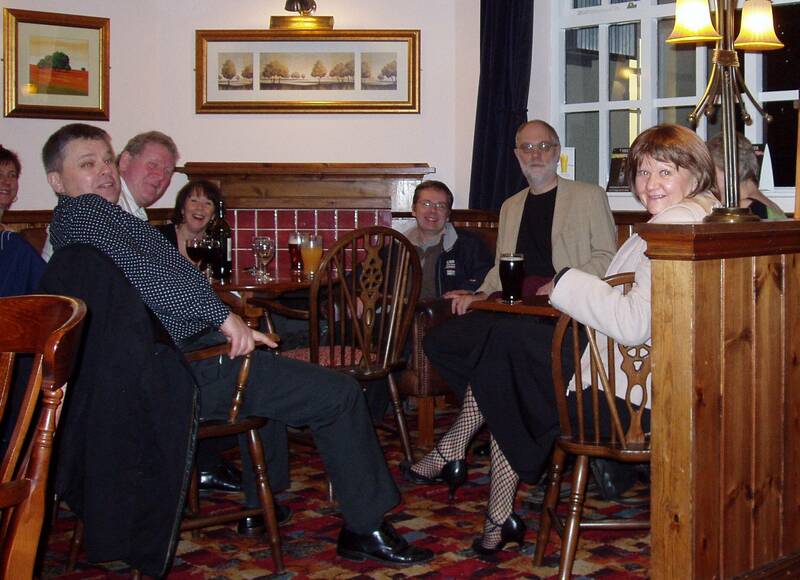 After this weeks session at the Lantern, we again reconvened at the Coracle for a drink. Now Dave may say that he is just lucky, but I reckon he has some sort of power, because there we were sating our thirsts thinking, “hm something to eat would be nice” when there appeared the landlord with a plate of sandwiches. Is it me or are Daves eyes glowing? Summoning up the butty God. Anyway back to the Tango: We arrived a bit earlier this week, and this gave me some more time just walking with the beginners. 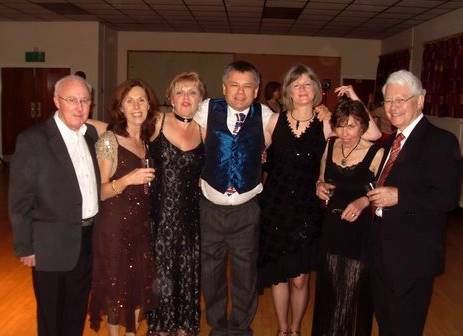 It is to Sharon’s credit that even though the large numbers last week were probably to do with the “Strictly Come Dancing” effect, all but six turned up again this week. 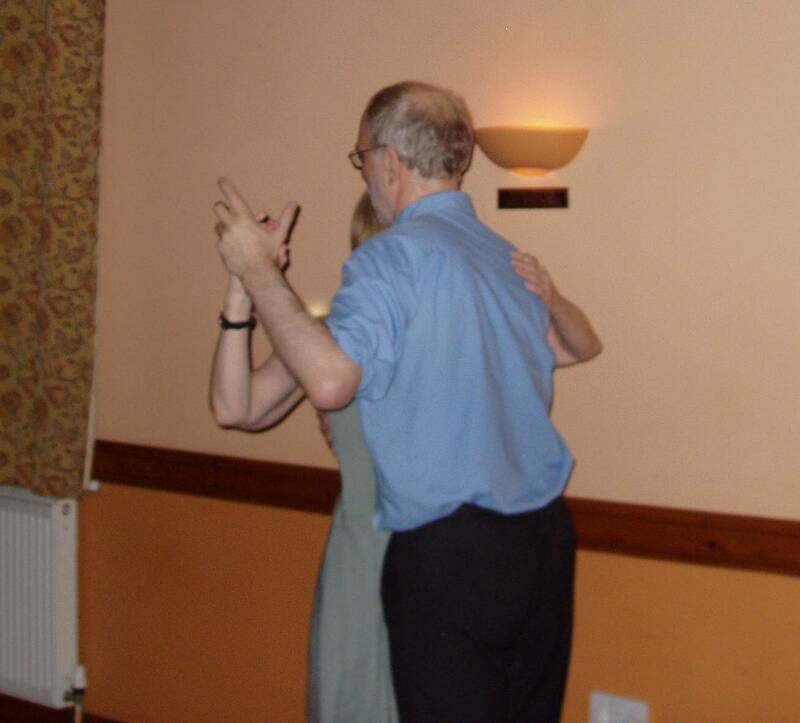 Perhaps not everyone expects dancing to be like that, and can understand the concept of social dancing. I am amazed at the standard that is being achieved here. Nobody yet has complained about the lack of figures and they all seem happy that they can at least take the floor. I can only put this down to the small group of dancers that is making a home here, and to no small part the efforts of Dave and Sharon. 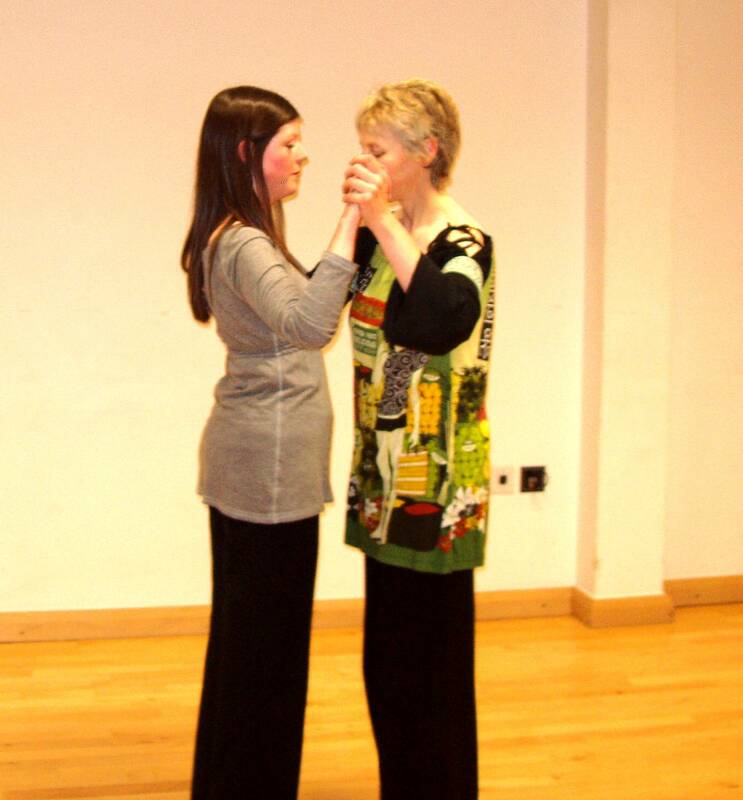 In the intermediate class we again practiced crossing the ladies and moving around the room in cross system. Previous teachers in this area have tended toward the, shall I say, more elaborate dancing. Now the ladies are coming to the understanding that if I do not lead anything then they need do nothing. Just looking beautiful is enough, and if they do not know what I want them to do, that is my fault not theirs. You havn’t quite got this close hold thing yet. 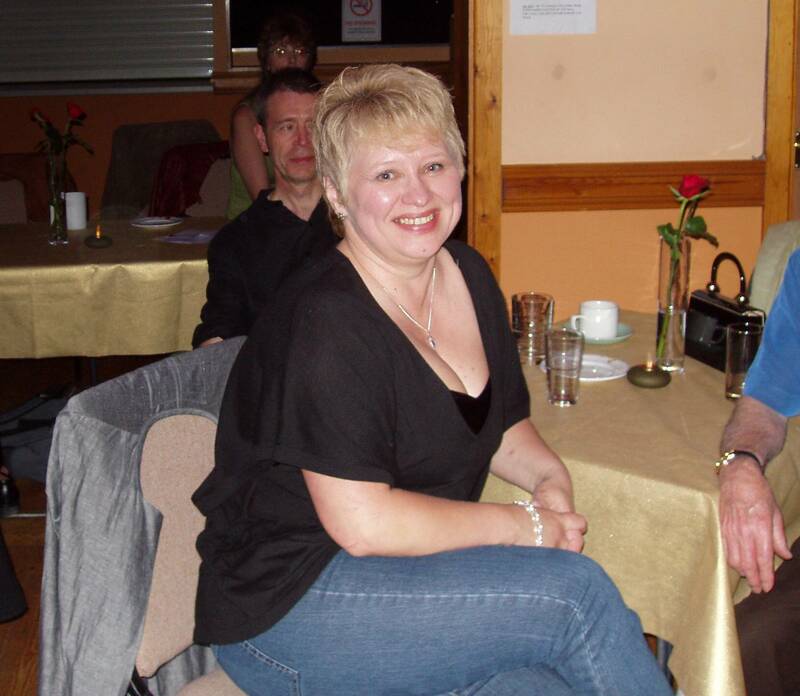 Just a few pictures of the night, They will improve with time, I have only had this camera a very short while. I am now entering a period where I will not be able to get to Shrewsbury every week So my reports will be sporadic. I know I can trust the team to do a great job, and I really look forward to seeing how everyone has improved when I return. I do not know how he does it, maybe it is because he has been doing promotions since he was seven, (or so he says) but Dave Basset has again worked miracles. 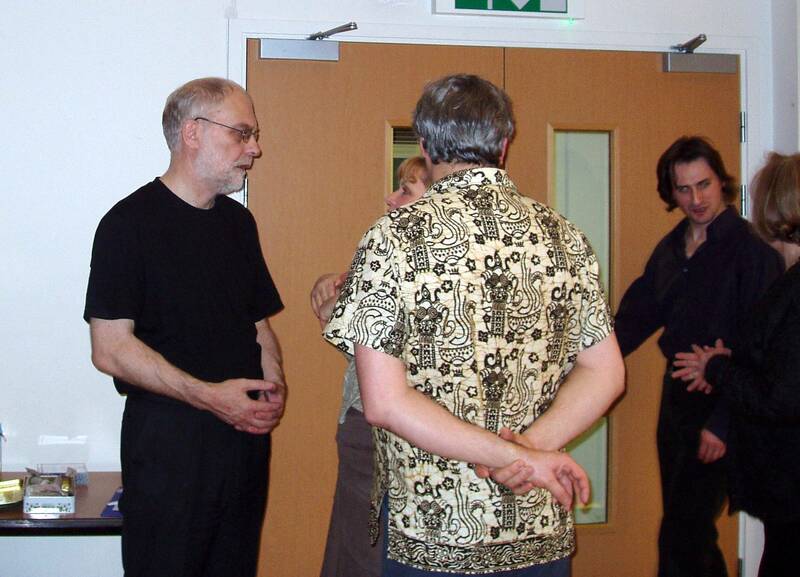 The new beginners class started this Thursday at the Lantern Shrewsbury. Normally one would expect a few newcomers at these classes, but even taking into account the “Strictly Come Dancing” effect, I could never have expected the huge number who arrived this week. We arrived late, as it is over an hours drive, and the beginners class was in full swing. I would have liked to join in and give some help but as the numbers were more or less even, there seemed little point at this stage. The classes are arranged with a practica between the beginners and the intermediates, so I had half an hour to walk around with some of the new starters. I got a good feeling from the few I managed to give some time to, good posture and a feeling that they are actually there with me. Next week I hope to be a bit earlier and spend some time with them in the class. A few stayed over for the intermediates but soon realised that it takes time to learn even the basics. Sharon has again been asked to give the class, and again we did the things we had done last Monday. Happily when asked to help demonstrate this time I was able to oblige. Does everyone get bad dancing days? or is it just me? anyway I left feeling a lot better than I did on Monday. There was more practice time after the class, I could not manage to get around every one, but I apologise to those I missed. There was some confusion amongst some of the women, who felt that Viv was somehow being left out when I danced with them. 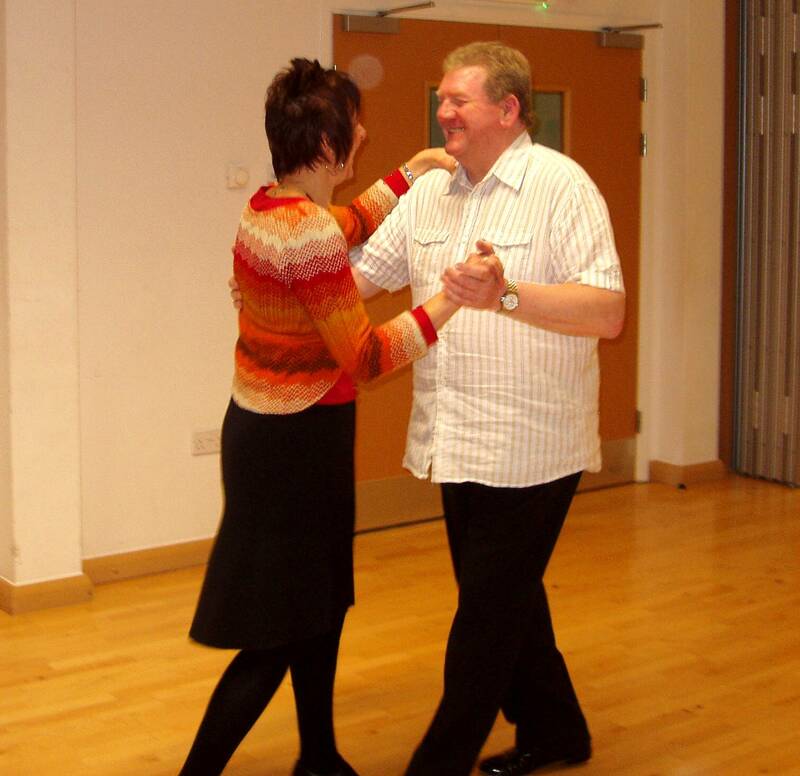 I can only say that I love dancing with my wife, but amongst new dancers we feel that we must share our experience, after all, the more people dance tango, the more dances we will have, and then the more opportunities we will have to dance together. 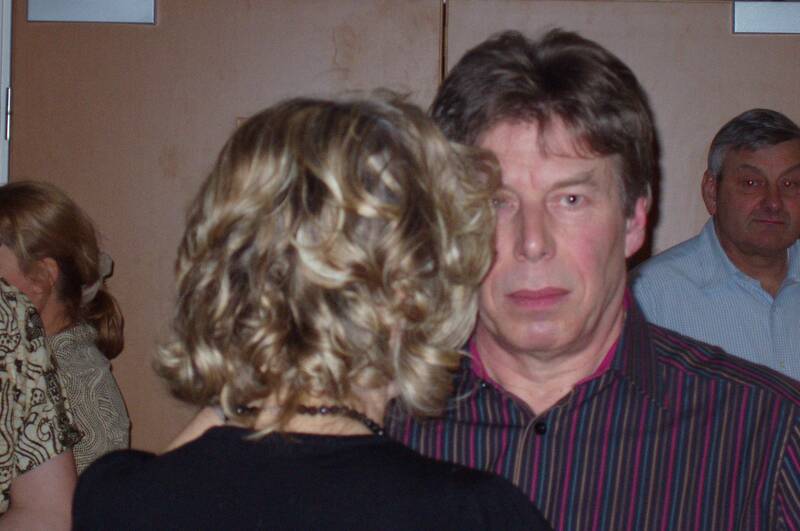 We enjoyed the night imensely, and I must again thank Dave Bassett for organising it. We stayed on right until the end, and even joined Dave and a few others for a drink in the Corracle afterwards. 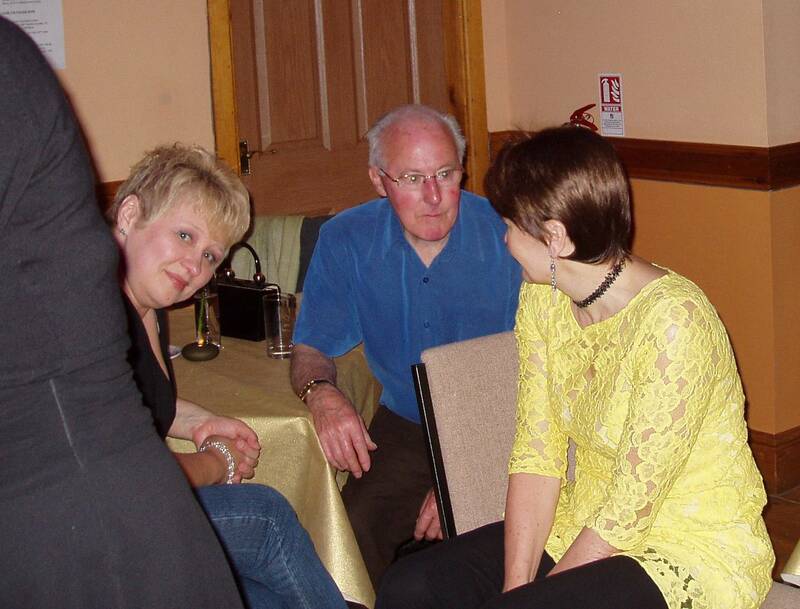 See the photo in the post, unfortunately Dave and Sharon were a bit shy, Dave out of picture to the right and Sharon hiding behind Viv. Don’t worry, I’ll get the two of you next time. First let me apologise for being a day late, but I wanted to include Dave Bassett’s party in my post. We brought the new year in at The Memorial Hall Wrexham. Steve, who had organised the occasion was on top form. The group who normally attend these socials are not the easiest to please, but we never heard one complaint. Steve again brought out his trumpet and gave us a blast, not having tried myself, I can only give the opinions of others, who tell me that to play the keyboard and trumpet at the same time requires some skill. All I know is that we love it and we want more. 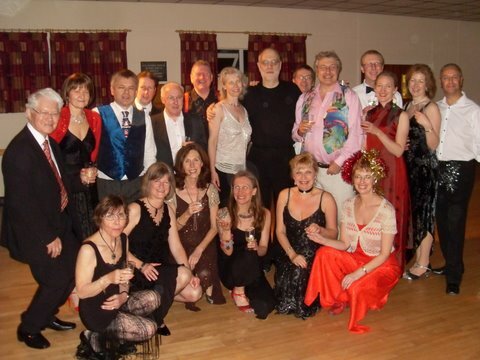 New Years day evening is always a bit flat, and so it was nice for once to be invited to Shrewsbury again for a House Milonga. 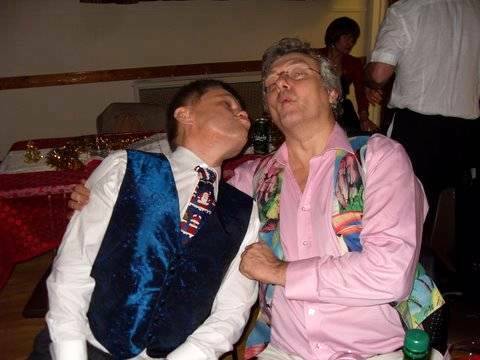 Dave Bassett had invited a few tangueros for an evening of dancing. He, like most of us completely hooked ones, has a room dedicated to dancing. I was impressed with the technology he had, as well as the obvious sound system, he had a projector screen covering one wall and one of those back lit televisions on the other, and while we danced we were treated to tango videos from Youtube. The group from Shrewsbury is starting to develope into a knowlegable and friendly group, thanks in no small part to the efforts of Dave. He has a battle on his hands though as the, neo, nuevo, show dance, fantasia, whatever you choose to call it faction, is still in evidence and seem determined to take over. I will be keeping an eye on the Shrewsbury scene and Dave in particular through the coming year ( as best the distance and my work allows) because with the enthusiasm that is there, I am sure that it will grow and grow. Prospero Año Nuevo a todos. I had to think long and hard about the title for this post. I did consider “At Last”, or “Traditional”, but in the end I thought, let the credit go to the man who brought this about. 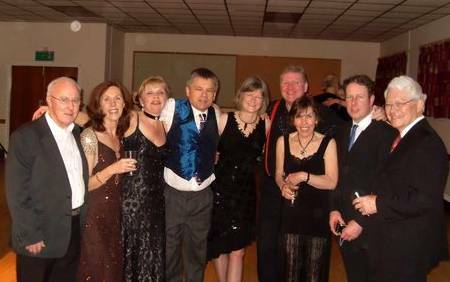 Some of you may know Dave from his work at the Butter Market in Shrewsbury, he has for many years organised Salsa events and has only very recently come to Tango. 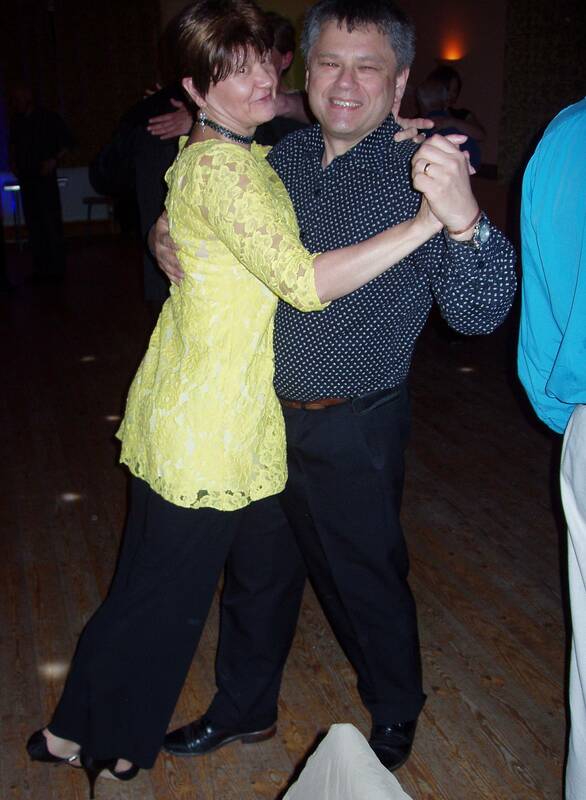 He has arrived on the scene with passion and a determination to bring traditional tango to this part of the world, and we now have a regular Milonga playing traditional music. We first heard about the Lantern at the Upton Magna workshops where we again met Dave. The distance and my shifts make it difficult to attend regularly, but yesterday (Thursday) we made it. It has to be said that the Lantern is not the easiest of places to find and when we finally got there, there was some confusion as to how we get in. The room was light and modern with the usual plastic chairs around the perimeter. The floor was excellent, a modern beech planked floor highly polished and wonderful to dance on with just the right amount of slip. A suprise to me, was the fact that most of the dancers were beginners, but nobody was learning figures. Everyone was happy to be able to move around the room and feel the music. I will definitely be returning, possibly on the eighteenth, but dates are never certain, it all depends how my life goes. 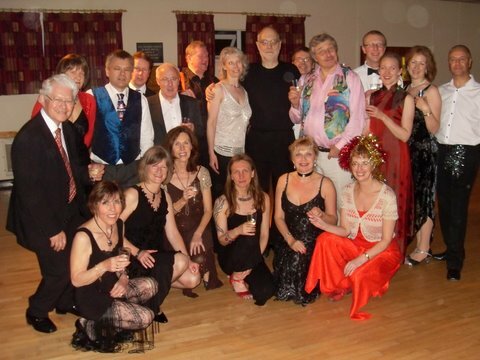 So at last we have a Milonga, traditional tango music, in a nice venue. 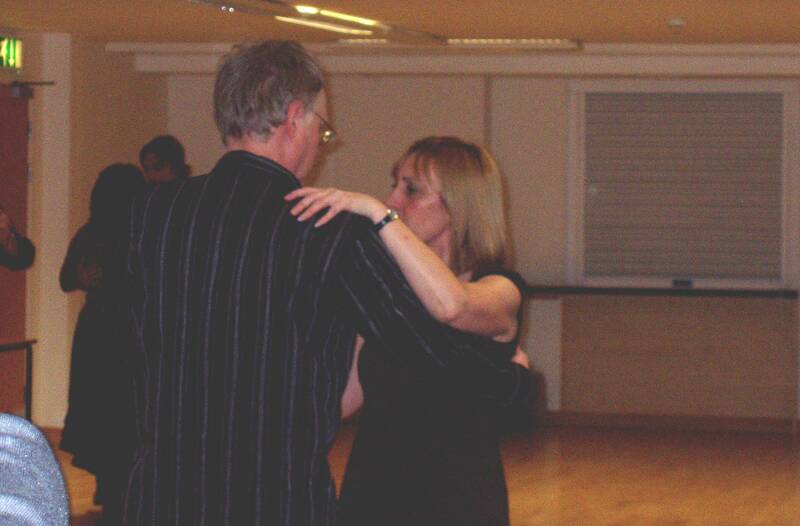 I hope that this is the start of something bigger, maybe there will someday be a Milonga nearer Wrexham or Chester. I understand the need for classes but for once there is somewhere we can just dance.